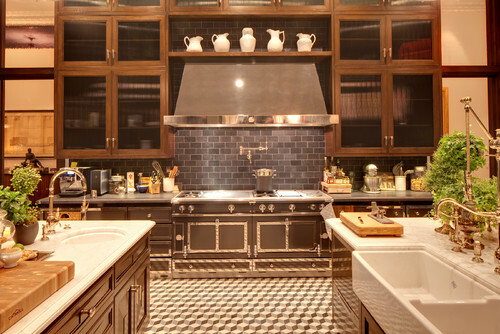 These are the brands for your dream kitchen. If you are a home builder, these names will help sell your project. However, luxury brands encompass mostly refrigeration, cooking, and then ventilation. In this article, you will read about the best luxury products, as well as the pros and cons of each brand. Now, I am not implying that you should only consider these brands if you have the budget or specific need for them. You should also look at the brands in the 5 Best Affordable Luxury Brands which combine features and price. 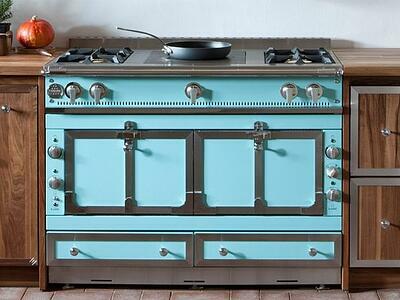 What do you get with a luxury appliance brand? As I stated earlier, most luxury brands revolve around cooking and refrigeration first. Miele would be the exception starting primarily as a dishwasher and laundry company. Refrigeration would be either professional with the compressor on the top or integrated behind the cabinets. You can also add drawers and another point of use products in the future. 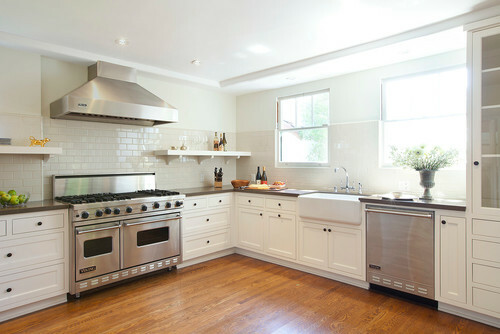 For cooking, you're looking at either a professional range or a wall oven combination with a cooktop or rangetop. You can also add steam and speed ovens as well as different types of vents. Luxury brands are about better style and function. However, they are slow adapters to Wi-Fi technology and controlling your kitchen from an app. Only Dacor (through Samsung) and Jenn-Air have started to address Wi-Fi. Samsung and LG are the other pioneers. 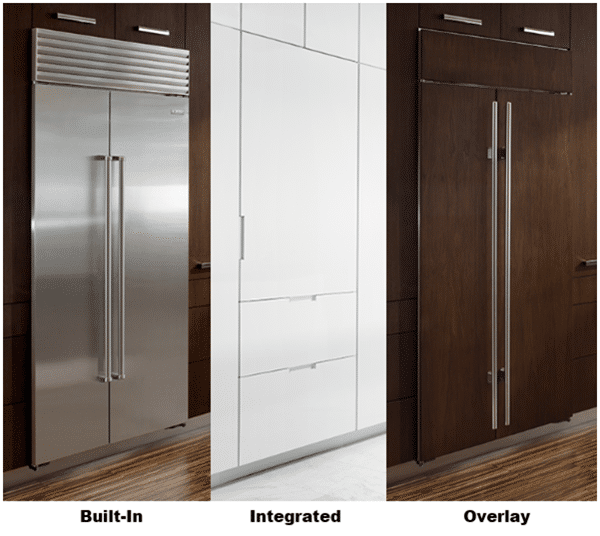 I added the total price of what a typical kitchen would cost with a 48-inch range, a 48-inch professional refrigerator (or 2 integrated adding to 48 inches), a dishwasher, and a hood for each brand below. This is just a range of prices. It will change depending on your selections. Click on the video for pictures and descriptions of all 6 best brands. Viking was the first company with a professional range in the U.S. They've had ranges since 1987. 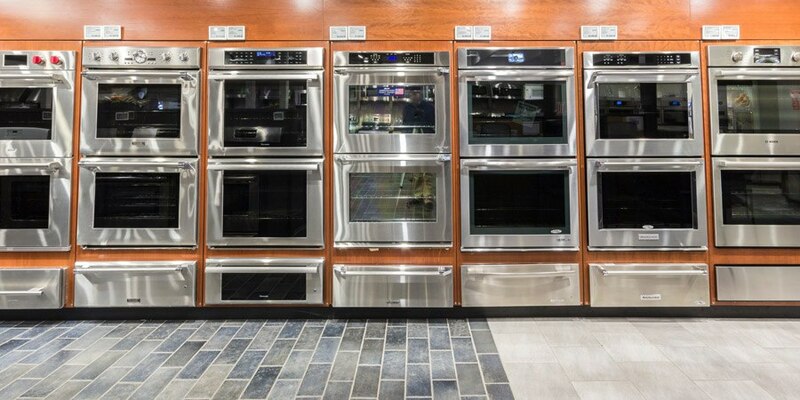 Their marketing has been one of the best in the appliance world. There was a time when most high-end kitchens had a Viking range and a Sub-Zero refrigerator. Out of Mississippi, Viking continues to innovate and has now come out with the Tuscany range as an alternative to the expensive La Cornue ranges. However, they don’t offer nearly as many colors and have other matching color appliances to go with their color ranges. Unfortunately, the line continues to have service issues and a bad reputation on the internet, especially in refrigeration and dishwashers. To be truly iconic, the product must work. To be totally transparent, we no longer sell Viking products. Thermador is out of California and has been manufacturing appliances for over 75 years. 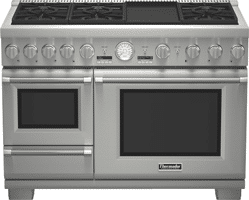 They are credited with producing the first wall oven and downdraft. Their new integrated refrigerators have customized bins. 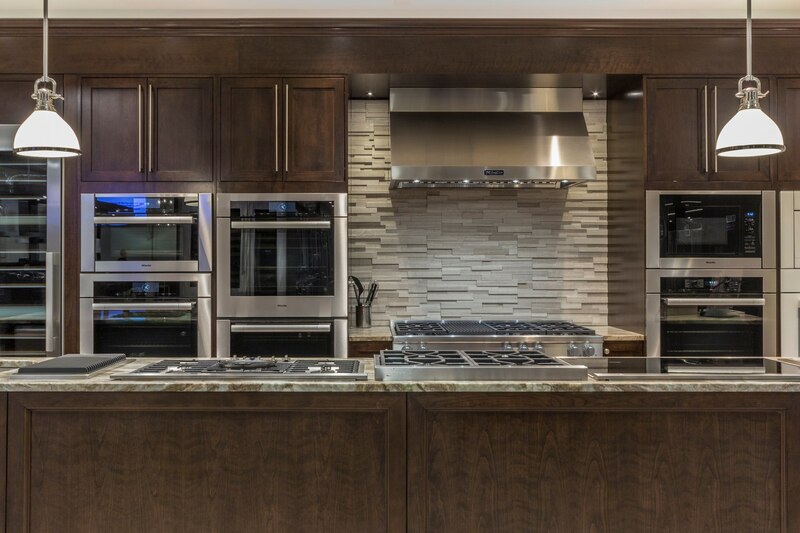 Thermador is also very strong in cooking, especially pro ranges, wall ovens, and induction. They have now taken the step forward into steam like many other brands. 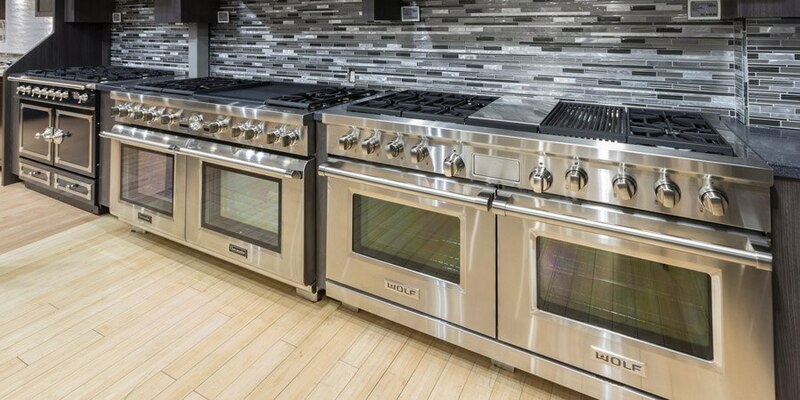 New product introductions include the 48-inch steam professional range (2014) as well as a 60-inch pro range (2016) with a steam oven and warming drawer as well as a full surface induction cooktop. They need to refresh their wall ovens and their single convection products, as well as add functionality. Thermador is also the most affordable of the 6 with great rebate programs including free dishwashers and one other appliance i.e. a hood and blower or microwave drawer. Gaggenau is also owned by Bosch. Gaggenau was founded in Germany in 1681. They have been on the cutting edge of style and technology and produce some of the finest appliances in the world. Bosch’s purchase of the company reinvigorated the brand by redesigning and restyling the product, essentially bringing the brand to its roots. Now Gaggenau is once again trendy and attractive with trend-setting products like steam ovens for example. Gaggenau has had a convection steam oven long before Miele, Thermador, and Wolf, and it is still the best and most versatile. They also have a full surface induction cooktop so that you can use any size pan anywhere on the cooktop, up to 4 pans. 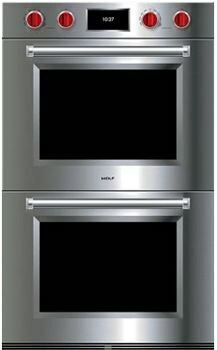 However, with Gaggenau, you have a very distinctive, industrial style designed by Bang & Olufsen. Your kitchen will be different looking with Gaggenau products than any other brand. The products work better than any other but need to be learned. I remember seeing the Miele factory in 2004. They were pushing their vacuum cleaner into a wall repeatedly to simulate 20 years of life. They also built the machine that pulled the vacuum into the wall. Such is their commitment to quality with about 100 years in the appliance industry. Their wall ovens, coffee systems, and especially dishwashers and laundry, are all excellent with incredible reliability. 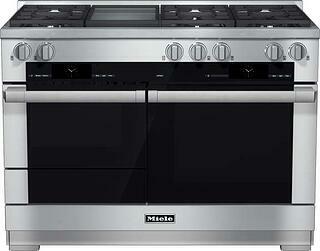 Miele has joined the ranks of brands like Wolf by introducing a pro range in 2014 with some great technology. Their 48-inch pro range even has a microwave warming drawer with steam assist built into it. 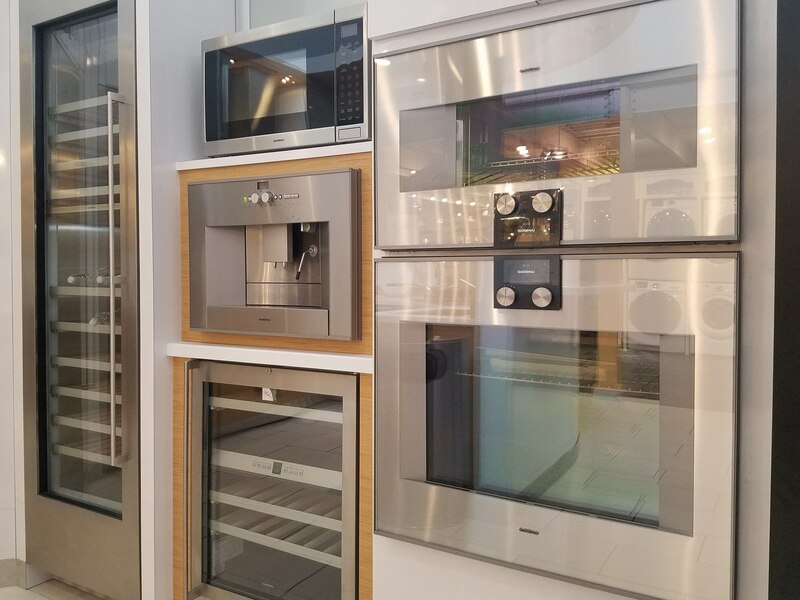 The pro range, as well as some of their wall ovens, connect to a water line for steam cycles which are fantastic for bread as well as finishing foods. Miele makes cooking easy in their M touch series ovens and ranges with their MasterChef system which automatically cooks with prompts. Don't buy a Sub-Zero refrigerator for name recognition and resale, buy it for 2-compressor performance, air scrubber, vacuum seal, and water purifier all maintaining food fresher and longer. I really like these guys. For over 60 years, Sub-Zero is a family-owned Madison, Wisconsin company successfully competing against the largest companies in the world. Sub-Zero bought Wolf 15 years ago and revolutionized cooking with the double convection technology and great simmer capabilities on each burner. The new M series ovens now have much more intuitive control panels as well as a blower convection instead of fans. Sub-Zero still outperforms every other product on the market and is still the standard for our industry. Their new wall ovens have similar functionality as the Miele with new convection blower technology. 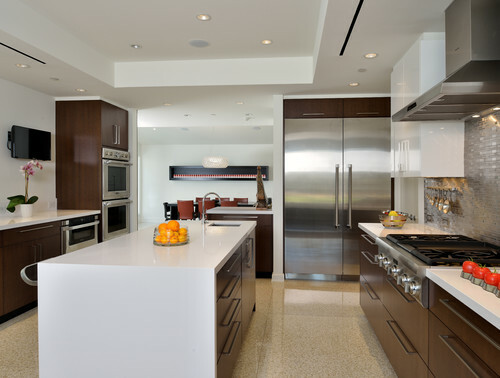 In addition, there are large island ranges, cabinets, and cooktops available. Tons of color options add to the customization. La Cornue specializes in cooking. For example, you can have dual ovens, one gas, and one electric. 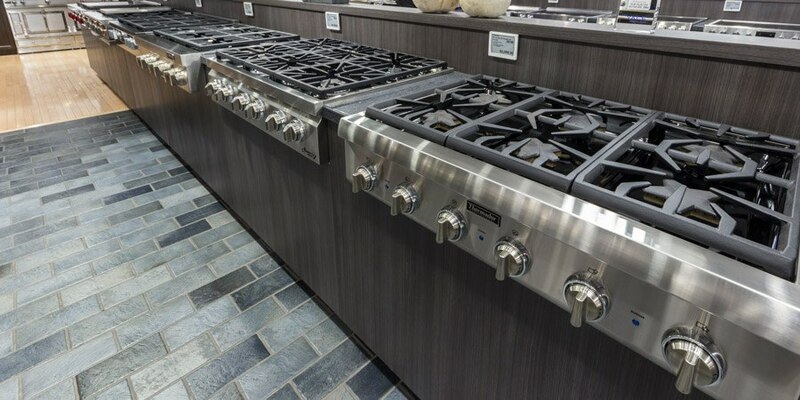 You can also choose the cooktop configuration with options such as gas, electric, induction, and/or a French top. 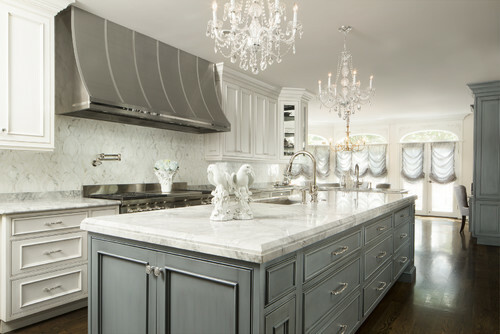 The Chateau range is the luxury appliance for a kitchen. 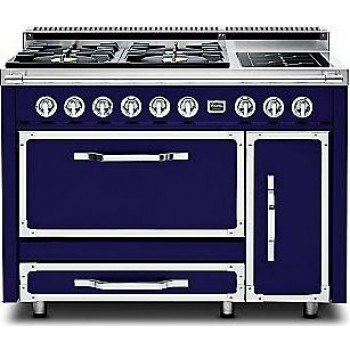 The top is fully customizable so you can pick induction, gas, French top, grill or griddle elements. Their gas ovens have a natural convection with arched tops so air flows naturally without a fan assist. It is the best oven to bake. Prices: $26,000-115,000. La Cornue only makes cooking products. 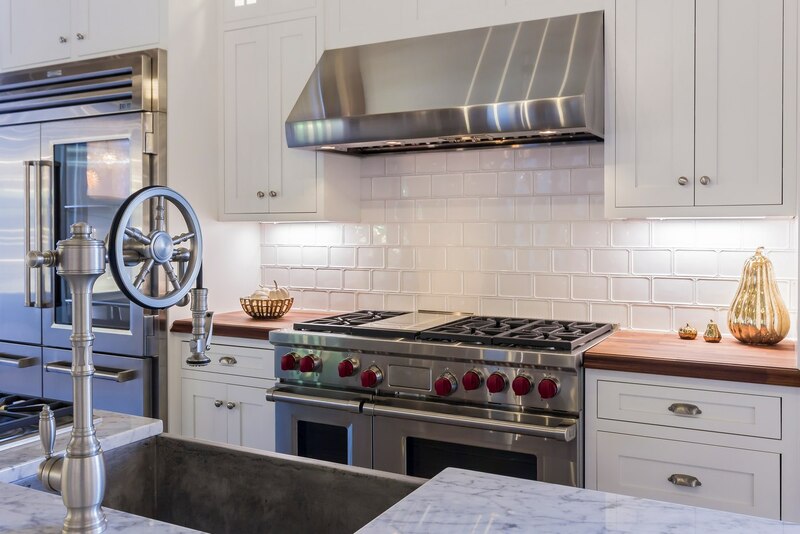 Although the costs can be over $30,000 for a whole kitchen, and with a La Cornue Range-topping at $115,000, luxury appliances are still the best investment in your house in terms of return on investment (ROI) versus any other home improvement. 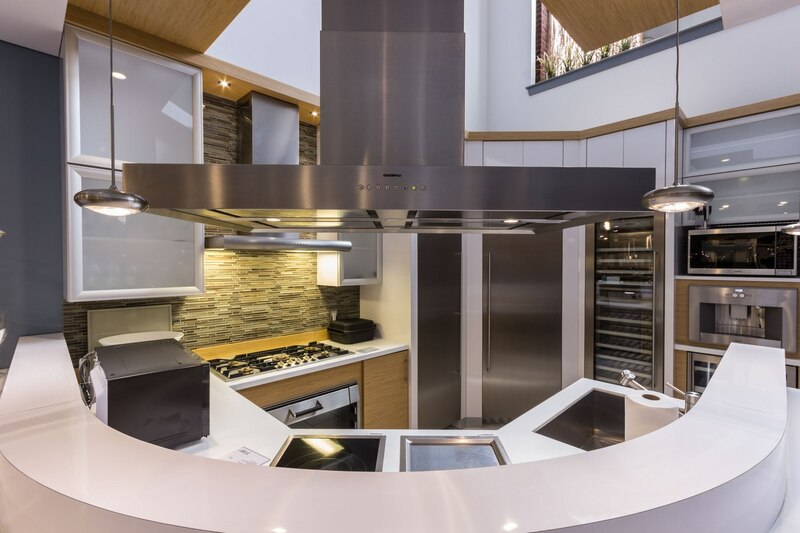 Over the last few years, most of the brands have improved cooking performance and introduced new technology to make your life a bit easier, at least in your kitchen. Have questions on premium appliances? 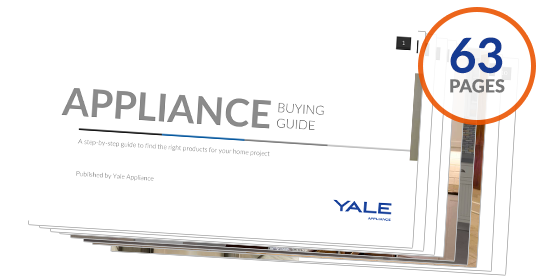 Get the Yale Appliance Buying Guide with features, specs and detailed profiles on Sub-Zero, Wolf, Miele, Viking, La Cornue, Thermador and more. Over 230,000 people have read a buyers buyers guide. Editor's Note: This article was originally published on January 3rd, 2014 and has been updated for accuracy, freshness, and comprehensiveness.